When it comes to good hair days, quality tools play a major role. From blow dryers to hair straighteners, these go-to magic makers require very little when it comes to cleaning. The question is: When was the last time you cleaned your flat iron? If the answer was anything other than "a week ago," that handy little gadget probably needs some TLC. Cleaning a hot tool isn't complicated, but any old detergent just won't do. The heated plates need to be cleaned with a gentle product that won't scratch them. In the following tutorial, there are two different options for cleaning a flat iron. Just be sure the straightener is cool and unplugged to be safe. Cleaning it while it's hot can damage the plates and burn your hands. Remember, water conducts heat. 1. Make sure the straightener is cool and unplugged. 2. Soak a cotton ball in rubbing alcohol and wring out the excess. 3. Lightly rub the cotton ball over the heating plates as well as around the barrel to remove product buildup. 4. Let dry before heating. 1. Ensure the straightener is cool and unplugged. 2. Soak the Magic Eraser in cool water and wring out thoroughly. 3. 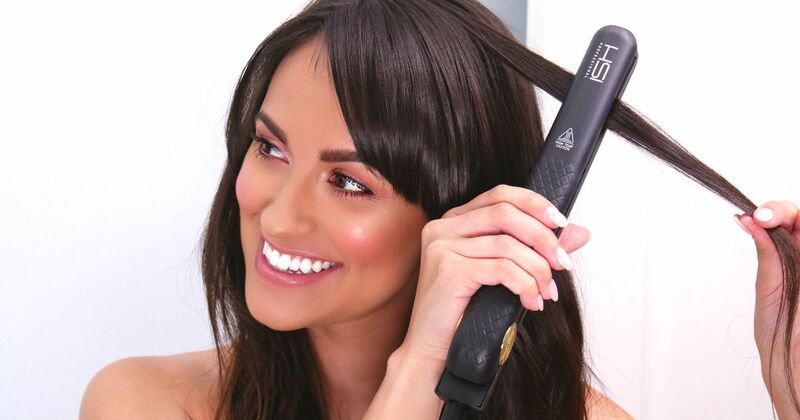 Rub the entire surface of the straightener with the damp Magic Eraser to remove buildup and grime. 4. Let air dry before heating.